Xbox Project Scorpio / Xbox One X: Microsoft is gonna launch some big titles parallel with the release of Project Scorpio for Xbox. This update got his back when Xbox head Phil Spencer said in a comment that “it was crucial to have first party game ready for launch.” Pre-orders are open since September. Update: It has become the first console to partner up with high-end audio brands like Bang & Olufsen, Gibson, and LG to provide support for wireless hardware. It seems to be timed deliberately given the impending release of Xbox One X. The company’s 4K console will be compatible with high quality wireless surround sound speakers for a better experience. Spencer, then, took it to Twitter and posted, “I want to give our games more time on stage at E3 [Electronic Entertainment Expo]. I, sometimes, feel like we rush telling the story of our games at E3.” On 23 March. 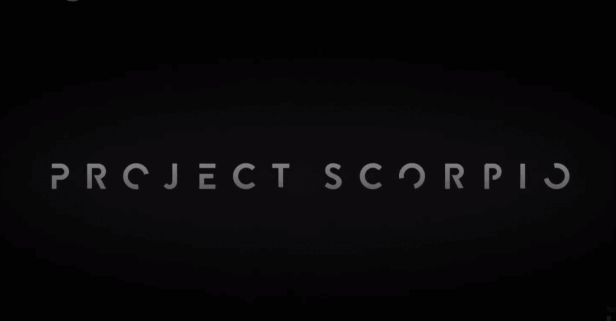 Since Spenser has chosen not to say a word about ProjectScorpio, a game retailer game stop stated that Scorpio is a very powerful system that is specially made for 4k gaming. Now, this could give some comfort to all the techies who were waiting for any update about Scorpio. Check: AMD Radeon RX 580 & RX 570 Polaris Specs and Price. Xbox Scorpio is being known as the most encouraged user-friendly system to be introduced in the market after the rumors of it telling about it to support 4k graphics. A six teraflop graphic processing unit (GPU) is also said to be a part of this unit which will increase its durability and entertainment. PlayStation 4 Pro and Nintendo Switch are gonna face a new competitor with it. According to Microsoft, this new Xbox will be the first to support not just 4k gaming but also high fidelity virtual reality (VR). It is also adaptable with all Xbox one accessories and games. See: Xiaomi Mi 6 and Mi6 Plus Specifications. Microsoft’s (Electronic Entertainment Expo) E3 presentation last year first witnessed the ProjectScorpio. The product was not hyped up more, but now the company has recently said that Xbox will be launched in these holidays 2017. The latest reports suggest that Microsoft will use launch Xbox Project Scorpio with big titles like Froza Motorsport 7 as the headline title game. The first part games include Forza 7, Crackdown 3, and State of Decay 2. There are third party games too like Call of Duty, FIFA, Madden, Destiny 2, Battlefront 2, and Red Dead Redemption 2. There will be Xbox Developers Kit (XDK) update in May and June 2017 for the Scorpio optimizations. Update 1 (May 30): Spencer said that Project Spencer will provide best gaming experience ever. The game console is powered by GPU with 40 custom compute units clocked at 1,172 megahertz and paired with a custom CPU with eight x86 cores running at 2.3 GHz. Microsoft is certain to release Scorpio later this year. CPU is 30% faster than that of the original Xbox One, while the GPU is 4.6 times more powerful than its predecessor. It means it would be able to run at 60fps at 4K for AAA games. Stay tuned to The Reporter Times for every update as we will more of it in the coming weeks.